Anthony Cowin: Lovecraft and the Craft of Love. Hot on the burning heels of Hell after my review of 'From Beyond the Grave' being published by the excellent Classic Horror Campaign I now have my review of the 1967 British Horror, 'The Shuttered Room' published on the site too. This classic British horror stars Carol Lynley, Gig Young and the ever impressive Oliver Reed. It's a tale of homecoming and why some things are best left in the past. The film is based on one of the August Derleth and H.P Lovecraft collaborations, (or Derleth using Lovecraft's iconic name and universe to flog his own stories as some believe). 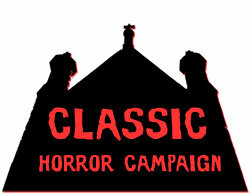 So head over to the always worthwhile stop off at The Classic Horror Campaign site and check out my review for this often overlooked gem of British cinema.